Services with YOU in Mind ! Mass Transcription offers professional transcription services, recording services and secretarial typing services. We treat our clients like family and we place the highest priority on integrity and high standards. Our competitive rates and thorough process will make your decision to outsource your transcription, recording or secretarial needs a simple and convenient one. Your product will be delivered on time, within specification and to the highest professional expectation. Mass Transcription offers premium transcription services. Based in Tucson, Arizona, Mass Transcription offers services locally and nationally. Our transcription services are available at very competitive rates by experienced transcription professionals. Mass Transcription offers secretarial typing services, providing a convenient and inexpensive way to outsource secretarial projects. 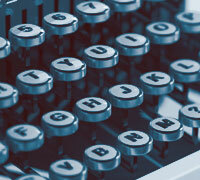 The secretarial services we provide range widely, from dictating letters and reports to full novels. Mass Transcription offers recording services in Tucson, Arizona and surrounding communities. In providing recording services, our technicians are experienced in maintaining discretion without compromising quality. Mass Transcription can also transcribe these proceedings. "Tracy has been invaluable in turning my dictated stories and notes into edited manuscripts. She goes line by line, checking facts, grammar and punctuation, striking what doesn’t work and enhancing what does, all the while maintaining my Voice. She is instrumental in turning this series of stories into a polished library of manuscripts. Her commitment to the well-told and dynamic story makes her irreplaceable!" "As a UOP doctoral mentor, I have many learners who need transcription services to complete their qualitative dissertations. I've used Mass transcription in my own research and highly recommend the service to my students." "Thank you so much for your conscientious professionalism when handling the manuscripts for President Clinton and Congressman Grijalva. As ever, the quality and turnaround time were excellent!" "Well, believe it or not, after so much back door manipulation that I feel like some operative with the CIA... WE ACTUALLY WON! I can hardly believe it. You and your service deserve no small amount of the credit. Thank you so much for your help. Your "over and above" has not been missed." "Thanks again – By the way, I am reading through the transcripts right now as I prepare to write the report and they are really awesome! You do such a great job on these. I really appreciate it!" "Thanks! It’s so nice to have dependable people work on these!" "I’m glad I found you. It’s been great working with you and I’m sorry I didn’t find you sooner –"
"... I don’t want to lose you… "